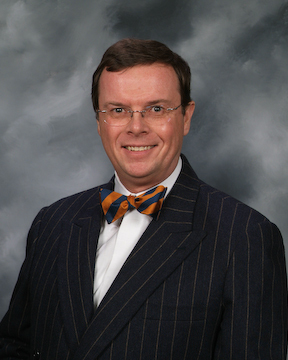 Alan R. Palmer joined the firm in 1991. He is a licensed funeral director and embalmer. He graduated from Southern Illinois University in Carbondale. He is married to Tammy and they have three children. Carrie L. Walters joined the firm in 1993 as a licensed funeral director and embalmer. Carrie graduated from Galesburg High School in 1991 and received an Associates degree in Mortuary Science and Funeral Service from Southern Illinois University in Carbondale in 1993. She later earned a Bachelors degree in Health Care Management from Southern in 1995. Carrie serves as a board member for the Knox County YMCA and the OSF HealthCare St. Mary Auxiliary. Carrie is a member of the Noon Lions Club and the Ralph M. Noble Post #285 Ladies Auxiliary. Carrie also serves as the treasurer, board member, and record keeper of the historical Hope Cemetery. She is a former board member and volunteer of Prairieland Hospice in Galesburg. Carrie is a member of the First Lutheran Church, Galesburg and Community Bible Church, Knoxville. Carrie and her family are members of Lake Bracken Country Club and she enjoys running in her free time. She runs annually in the Rock 'n' Roll Nashville Run supporting and fundraising for St. Jude Children's Hospital. She is married to Tyson and together they have two children, Hank and Riley. Carrie is active in Knoxville District #202 activities, where her children participate in baseball and basketball. Todd M. Ettinger joined the firm in 1996. Originally from Taylorville, Illinois, he graduated from Southern Illinois University in Carbondale. He is an Illinois licensed funeral director and embalmer. 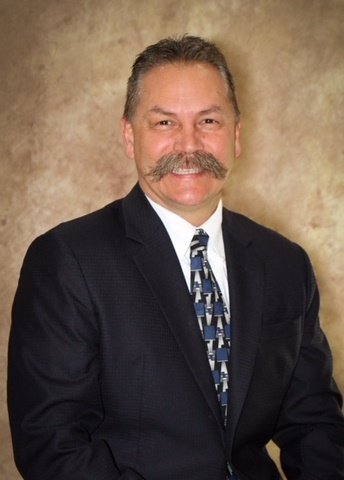 Todd has volunteered with many local groups and organizations over the years, including Community Preschool, the Galesburg Civic Art Center, the Advisory Board of the Carl Sandburg College Mortuary Science Program, the Knox County United Way, and the Prairieland Hospice Foundation. He is a member of the Galesburg Noon Rotary Club. Todd has three grown children and is married to Rodney Tippett. Dennis E. Landon joined the firm in 1981. He is a licensed funeral director and embalmer. He graduated from Southern Illinois University in Carbondale. He is married to Lori and they have three grown children. Randy joined the firm in April 2017. He is a graduate of the Carl Sandburg College Mortuary Science Program. He is an Illinois licensed funeral director and embalmer. Averie joined the firm in June 2018. She originates from the Quad Cities and the Sauk Valley. Averie is a 2018 graduate of the Mortuary Science program at Carl Sandburg College. She is a member of the First United Methodist Church and former Vice President of the Carl Sandburg College Sigma Phi Sigma business fraternity. In her free time she enjoys bicycling, reading, and painting her pet box turtle. George Peterson joined the firm in 1964. He is a licensed funeral director and embalmer. He attended Northpark College and Milwaukee Institute of Mortuary Science. 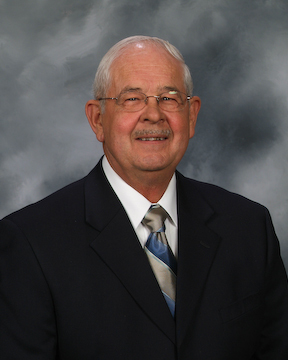 He has served the Galesburg area in leadership roles for many community organizations. He is an active member of the Covenant Church. He has four grown children. 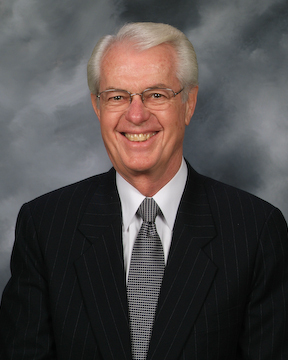 E. Wayne Hull joined the firm in 1961. He is a licensed funeral director and embalmer. He attended Worsham College of Mortuary Science in Chicago. He is actively involved in many community organizations and is particularly fond of his restored 1927 Model A Roadster that he exhibits at many car club shows. He is married to Roberta and they have three grown sons and 4 grandsons. David R. Pearson joined the firm in 1981. He is a licensed funeral director and embalmer. He graduated from Southern Illinois University in Carbondale and Western Illinois University in Macomb. 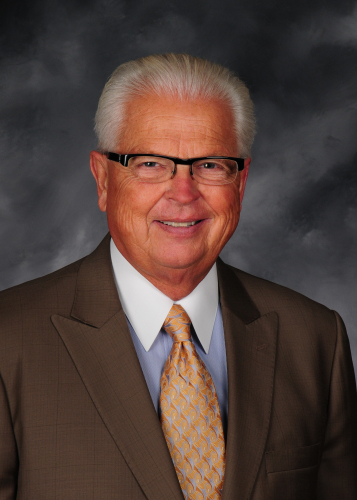 He has served in the Galesburg area in leadership roles for many community organizations. 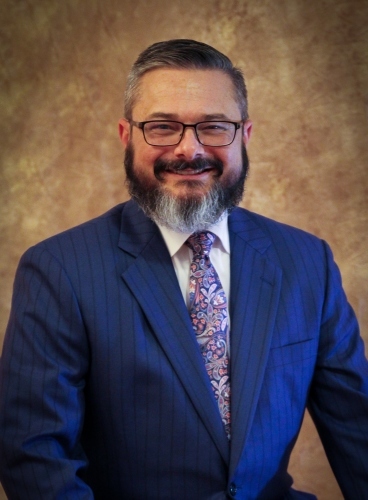 He also has served his profession by being State President of the Illinois Funeral Directors Association and National President of the National Funeral Directors Association. He is married to Laurie and they have two grown daughters.